Regardless of industry or discipline, we can probably all agree that routine maintenance — sometimes referred to as preventative, predictive, or even scheduled maintenance — is a good thing. Unfortunately, through the years I’ve found that most companies don’t have the robust strategies they need. In many cases, routine tasks are just entries on a to-do list of work that needs to be performed — with nothing within the work pack to drive compliance. In particular, a list of tasks beginning with “Check” which have no guidance of an acceptable limit can have limited value. The result can be a “tick and flick” style routine maintenance program that fails to identify impending failure warning conditions. Oftentimes, maintenance views each piece of equipment as a standalone object, with its own unique maintenance strategy. As a result, one organization could have dozens of maintenance strategies to manage, eating up time and resources. In extreme cases, this can lead to similar assets having completely different recorded failure mechanisms and routine tasks, worded differently, grouped differently and structured differently within the CMMS. Operations might be reluctant to take equipment out of service for maintenance, so they delay or even cancel the appropriate scheduled maintenance. At times this decision is driven by the thought that the repair activity is the same in a planned or reactive manner. But experience tells us that without maintenance, the risk is even longer downtime and more expensive repairs when something fails. Sometimes, when an organization has been burned in the past by a preventable failure, they overcompensate by performing maintenance tasks more often than necessary. The problem is, the team might be wasting time doing unnecessary work — worse still it might even increase the likelihood of future problems, simply because unnecessary intrusive maintenance can increase the risk of failure. There’s no substitute for direct experience and expertise. But when tasks and frequencies are too solely based on opinions and “what we’ve always done” — rather than sound assumptions — maintenance teams can run into trouble through either over or under maintaining. Without documented assumptions, business decisions are based on little more than a hunch. “Doing what we’ve always done” might not be the right approach for the current equipment, with the current duty, in the current business environment (and it certainly makes future review difficult). Naturally, routine tasks account for the most common failure modes. They should however also address failures that happen less frequently, but may have a significant impact on the business. Developing a maintenance plan which addresses both types, prevents unnecessary risk. For example, a bearing may be set up on a lubrication schedule, but if there’s no plan to detect performance degradations due to a lubrication deficiency, misalignment, material defect, etc then undetected high consequence failures can occur. Developing maintenance guidelines and best practices takes time and effort. Yet, all too often, the maintenance organization fails to capture all that hard-won knowledge by creating clear, detailed instructions. Instead, they fall back on the maintenance person’s knowledge — only to lose it when a person leaves the team. Over time, incomplete instructions can lead to poorly executed, “bandaid-style” tasks that get worse as the months go by. There’s a unique situation that often occurs when new equipment is brought online. Maintenance teams assume they have to operate the new equipment first to see how it fails before they can identify and create the appropriate maintenance tasks. It’s easy to overlook the fact that they likely have similar equipment with similar points of failure. Their data from related equipment provides a basic foundation for constructing effective routine maintenance. If completed tasks aren’t reviewed regularly to gather feedback on instructions, tools needed, spare parts needed, and frequency; the maintenance process never gets better. The quality or effectiveness of the tasks then degrade over time and, with it, so does the equipment. Too often, maintenance teams decide which tasks to perform based on their present skill sets — rather than equipment requirements. Technical competency gaps can be addressed with a training plan and/or new hires, as necessary, but the tasks should be driven by what the equipment needs. Without a robust routine maintenance plan, you’re nearly always in reactive mode — conducting ad-hoc maintenance that takes more time, uses more resources, and could incur more downtime than simply taking care of things more proactively. What’s worse, it’s a vicious cycle. The more time maintenance personnel spend fighting fires, the more their morale, productivity, and budget erodes. The less effective routine work that is performed, the more equipment uptime and business profitability suffer. At a certain point, it takes a herculean effort simply to regain stability and prevent further performance declines. Here’s the good news: An optimized maintenance strategy, constructed with the right structure is simpler and easier to sustain. By fine-tuning your approach, you make sure your team is executing the right number and type of maintenance tasks, at the right intervals, in the right way, using an appropriate amount of resources and spare parts. And with a framework for continuous improvement, you can ultimately drive towards higher reliability, availability and more efficient use of your production equipment. Want to learn more? Check out our next blog in this series, Plans Can Always Be Improved: Top 5 Reasons to Optimize Your Maintenance Strategy. Maintenance optimization doesn’t have to be time-consuming or difficult. Really it doesn’t. Yet many organizations simply can’t get their maintenance teams out of a reactive “firefighting mode” so they can focus on improving their overall maintenance strategy. Stepping back to evaluate and optimize does take time and resources, which is why some organizations struggle to justify the project. They lack the data and/or the framework to demonstrate the real, concrete business value that can be gained. And even when organizations do start to work on optimization, sometimes their efforts stall when priorities shift, results are not immediate and the overall objectives fade from sight. Through the optimization process, you can eliminate redundant and unnecessary maintenance activities, and make sure your team is focused on what’s really important. You’ll outline the proper maintenance tasks, schedules and personnel assignments; then incorporate everything into the overall equipment utilization schedule and departmental plans to help drive compliance. Over time, an optimized maintenance strategy will save time and resources — including reducing the hidden costs of insufficient maintenance (production downtime, scrap product, risks to personnel or equipment and expediting and warehousing of spare parts, etc.). Through the optimization process, you’ll be allocating resources to various tasks and scheduling them throughout the year. This gives you the ability to forecast resource needs, by trade, along with spare parts and outside services. It also helps you create plans for training and personnel development based on concrete needs. The plans you establish through the optimization process give you a real-world outline of what’s needed in your maintenance department, why it’s needed, and how it will impact your organization. You can use this framework to establish a realistic budget with strong supporting rationales to help you get it approved. Any challenges to the budget can be assessed and a response prepared to indicate the impact on performance that any changes might make. Optimization is a project that turns into an ongoing cycle of performing tasks, collecting feedback and data, reviewing performance, and tweaking maintenance strategies based on current performance and business drivers. Better maintenance strategies keep your production equipment aligned to performance requirements, with fewer interruptions. That means people can get more done, more of the time. That’s the whole point, isn’t it? Hopefully, this article has convinced you of the benefits of optimizing your maintenance strategies. Ready to get started or re-energize your maintenance optimization project? Check out our next blog article, How To Optimize Your Maintenance Strategy: A 1,000-Foot View. Optimizing your maintenance strategy doesn’t have to be a huge undertaking. The key is to follow core steps and best practices using a structured approach. If you’re struggling to improve your maintenance strategy — or just want to make sure you’ve checked all the boxes — here’s a 1000-foot view of the process. Identify key stakeholders from maintenance, engineering, production, and operations — plus the actual hands-on members of your optimization team. Get everybody on board with the process and trained in the steps you’re planning to take. A mix of short awareness sessions and detailed educations sessions to the right people are vital for success. Review/revise the site’s asset hierarchy for accuracy and completeness. Standardize the structure if possible. Gather all relevant information for each piece of equipment. Consider performing a Pareto analysis to identify equipment causing the most production downtime, highest maintenance costs, etc. Assign tasks to mitigate the failure modes. NOTE: Reliability-centered maintenance (RCM) simulation software can be a great help in deciding between run-to-failure, time driven repair/replace and inspection tasks. Bundle selected activities to develop an ideal maintenance task schedule (considering shutdown opportunities). Use standard grouping rules if available. This is your proposed new maintenance strategy. 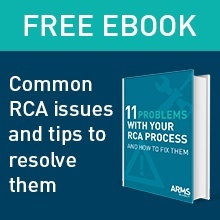 Implement the approved maintenance strategy by loading all of the associated tasks into your CMMS — ideally through direct integration with your RCM simulation software, manually, or via Excel sheet loader. Continue to collect information from work orders and other empirical and qualitative data sources. Periodically review maintenance tasks so you can make continual improvements. Monitor equipment maintenance activity for unanticipated defects, new equipment and changing plant conditions. Update your maintenance strategy accordingly. Build a library of maintenance strategies for your equipment. Take what you’ve learned and the strategies and best practices you’ve developed and share them across the entire organization, wherever they are relevant. Of course, this list provides only a very high-level view of the optimization process. 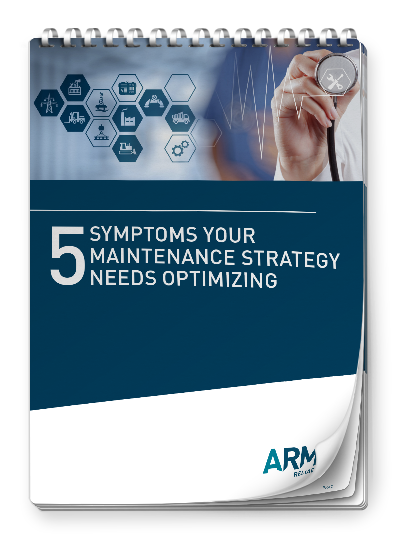 If you’re looking for support in optimizing your maintenance strategies, or want to understand how to drive ongoing optimization, ARMS Reliability is here to help.